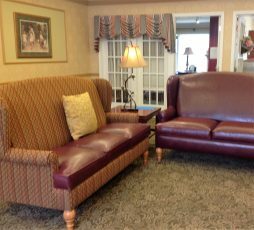 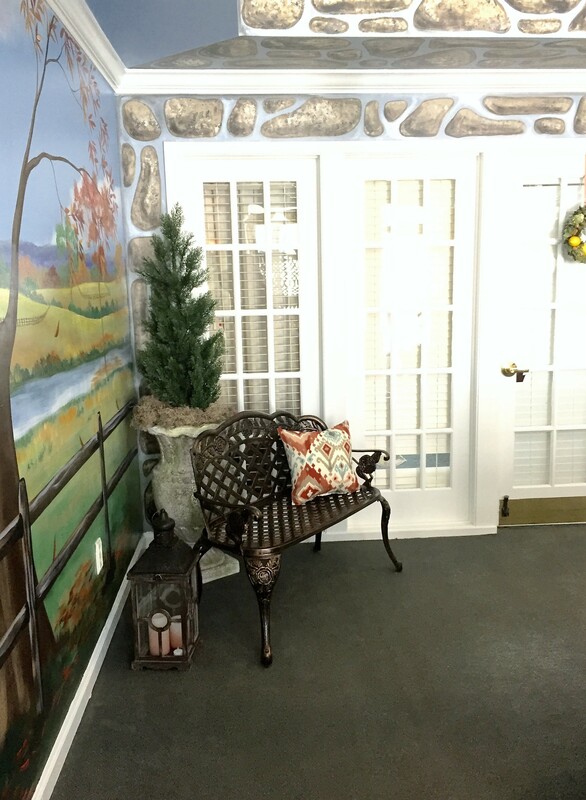 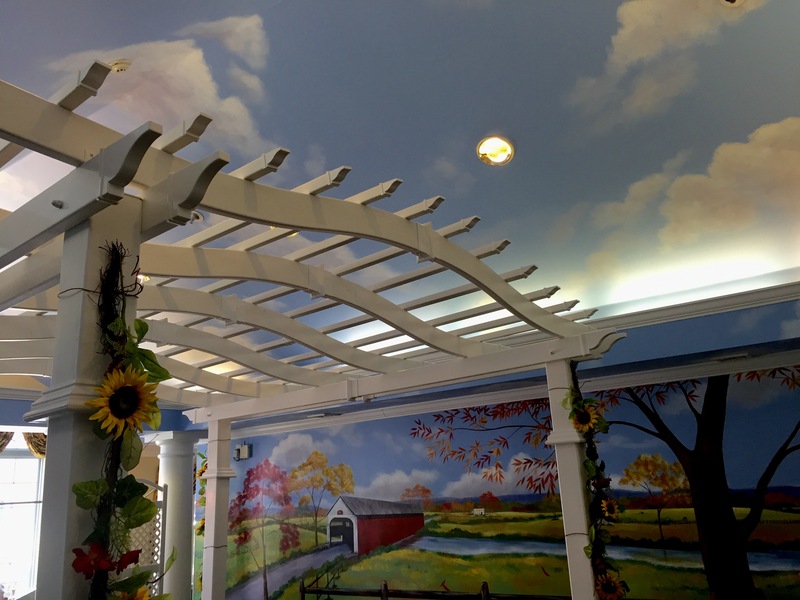 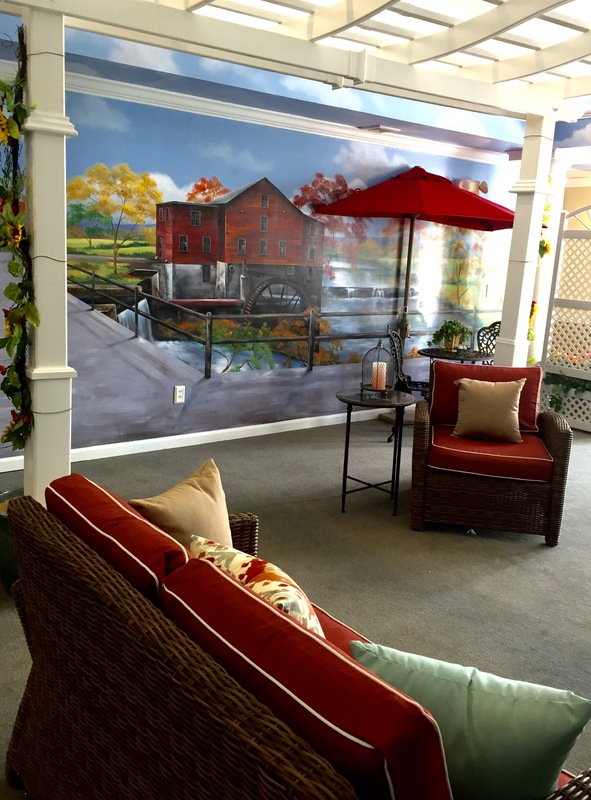 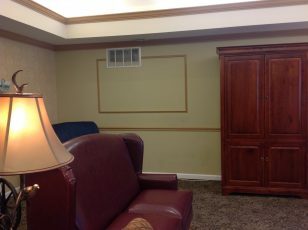 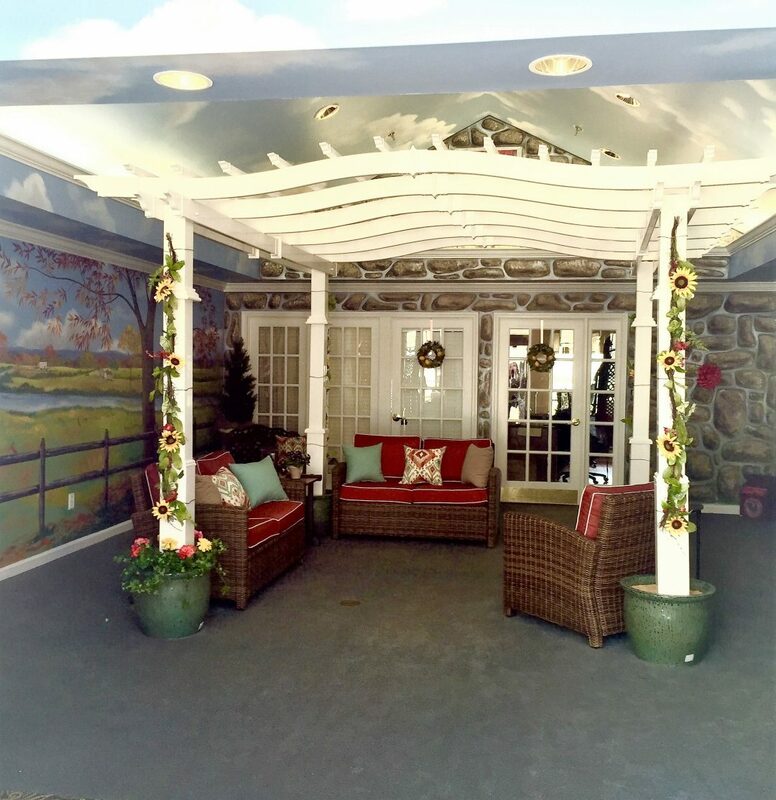 A sensory & therapy room was created for a communal living area at a nursing home. 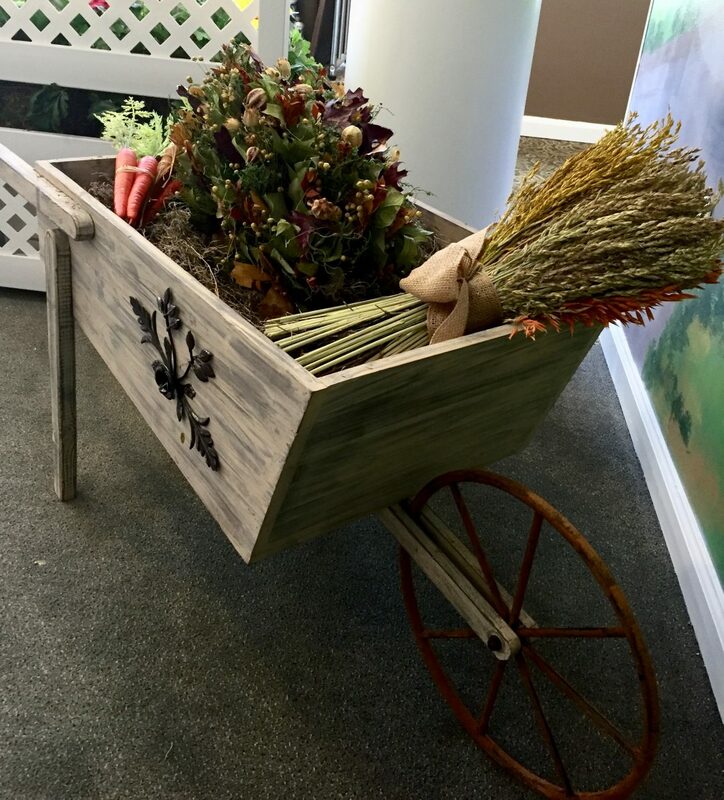 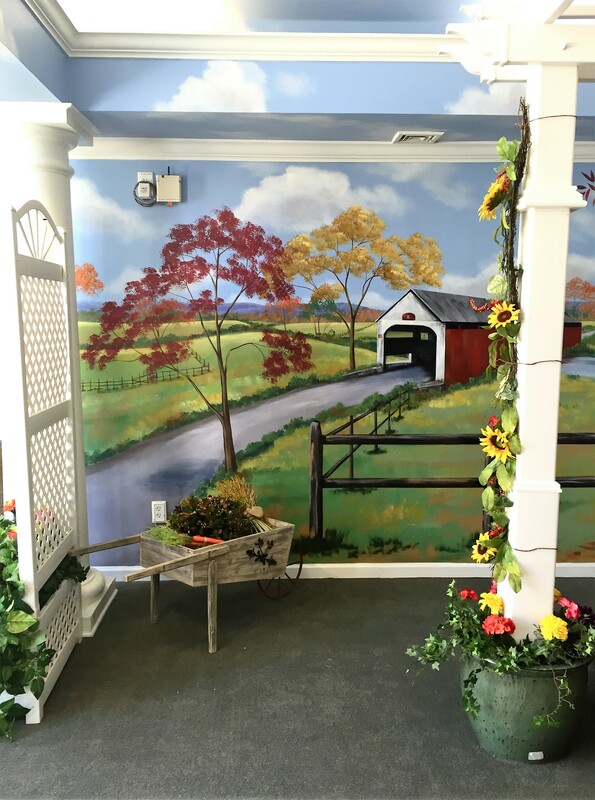 The space was transformed by creating different sensory experiences for patients suffering from Alzheimer’s and dementia. 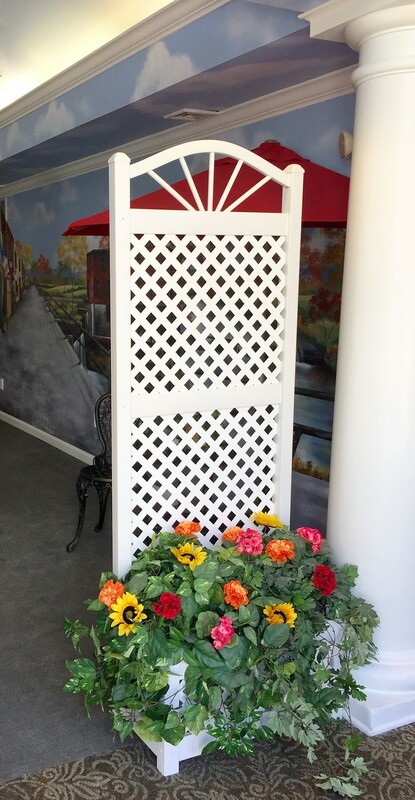 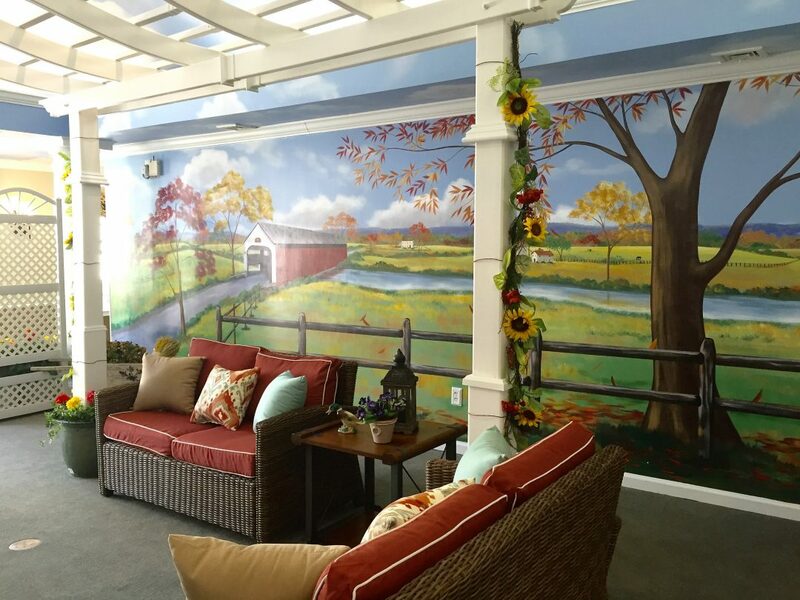 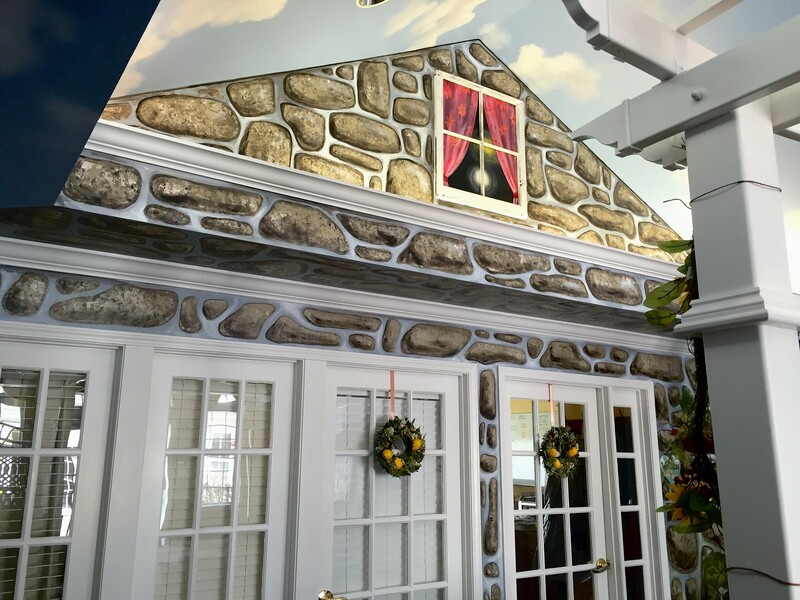 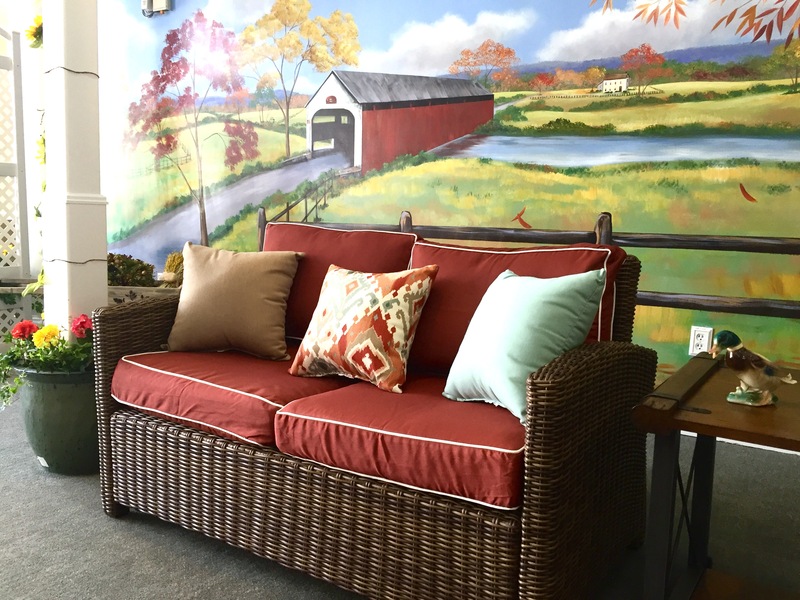 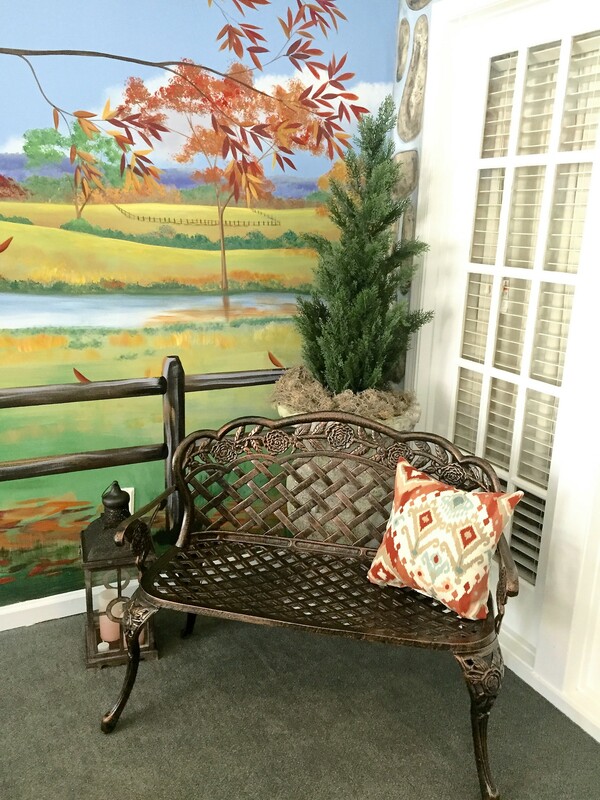 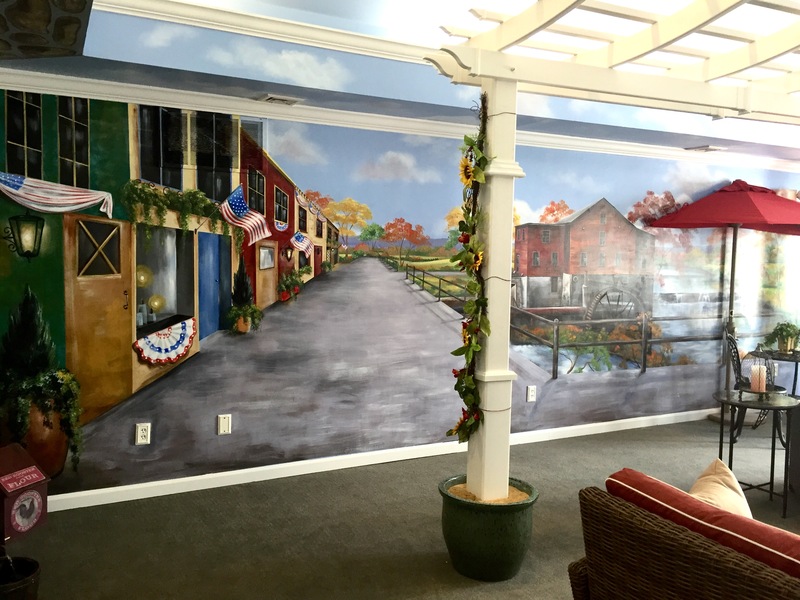 Buck’s County was used as the backdrop for the custom designed wall murals featuring local landmarks & countryside, while indoor/outdoor furniture and accessories was used to carry out the outdoor theme.